Yes Bank, in India, is seeing its CEO’s tenure come to end in January 2019, as stipulated by the Reserve Bank of India (RBI). 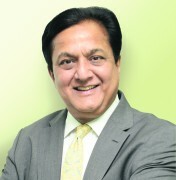 Rana Kapoor’s forced exit goes against what the bank’s board proposed – an extension of its position until the end of August 2021. The bank’s board is set to meet later this month to revaluate the way forward. The bank is India’s fourth-largest private-sector bank by assets, reaching $43 billion last March. Yes Bank has been going through a lot of scrutiny as a result of its lack of transparency in reporting its loan quality. The RBI found that Yes Bank under-reported its bad loans by a total of INR 104.7 billion ($1.4 billion) in the 2016 and 2017 financial years. Last October it fined the bank INR 60 million ($800,000) for breaching standards on bad loan recognition. The CEO has previously worked for Bank of America, ANZ Grindlay and Rabobank, and is, alongside his brother, the co-founder of Yes Bank.